Balance issues can start suddenly and there can be many possible causes. We rarely think about balance even though it guides our every waking moment. So when the ground suddenly feels unstable, the body seems wobbly or the world starts spinning, it can be a frightening experience. About 40 percent of Americans will deal with some form of dizziness or balance difficulties over the course of a lifetime, according to the National Institute on Deafness and Other Communication Disorders. And more than 3 million American children have a dizziness or balance problem, researchers found. They’re conditions that make people feel unsteady. Depending on the cause, people can feel off-balance while walking, have the sensation they’re moving when they’re actually still or feel like the world around them is spinning — all of which can take a serious toll on a person’s life, said Helen Cohen, professor of otolaryngology — head and neck surgery, and associate director of the Center for Balance Disorders at Baylor College of Medicine in Houston, Texas. “It’s extremely disruptive. People feel like they don’t function as well. Often, they limit how much they go out and interact,” Cohen told TODAY. Dizziness — this can be an imprecise term with different meanings for different people, so experts advise being very detailed about what it is you are experiencing. “Dizziness is a dirty word in my book and I don’t like to use that word because it’s very vague,” Cohen said. “Sometimes, people come in complaining about dizziness and I have to figure out what they’re talking about.” She has found patients use the word as an umbrella term to describe any of the experiences below. Vertigo — which is the illusion that you’re moving when you know you’re not, Cohen noted. People describe it as a whirling or wavy sensation, or the feeling of moving up and down or bobbing, which can be gentle or intense. Oscillopsia is when you know you’re sitting still, but it looks like the world around you is moving, she said. Medication side-effect: many widely-prescribed drugs can affect balance and increase fall risk. They include antidepressants, antihistamines, heart drugs, blood pressure medicines and sedatives. Heart problems: blood pressure that’s either too low or too high, and other cardiac issues can lead to dizziness and unsteadiness. Inner ear problems: You come equipped with a balance system that relies on your eyes, ears and motion sensors to allow you to move without falling and give you a sense of your body in space. The part of the inner ear and brain that helps with balance is the vestibular system. An infection, inflammation, injury or changes in fluid here can cause a host of vestibular disorders that produce disruptive symptoms like vertigo and unsteadiness. Frustratingly, sometimes there’s no obvious cause. Make an appointment if you notice changes in how you feel or interact with the world, the experts said. If you were always very well-coordinated, but suddenly start tripping or falling, that’s a possible warning sign. Falling is always bad, Cohen said. 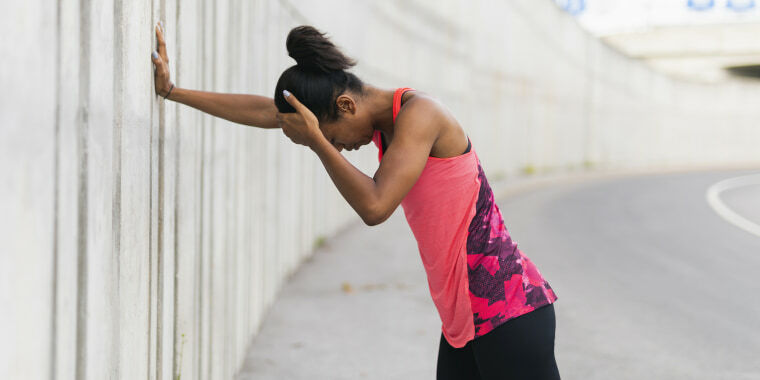 Everyone feels dizzy from time to time, and dizziness usually gets better by itself or is easily treated, the National Institutes of Health noted. But if you are often dizzy or frequently experience vertigo, see your doctor. Bottom line: Odd sensations, lack of sensation in the feet, falling or repeated tripping for no apparent reason should be evaluated by a physician. The American Academy of Otolaryngology can help you find an otolaryngologist to diagnose problems. After an evaluation that looks into whether other health problems or medication side-effects are to blame, a doctor may advise vestibular rehabilitation — specific exercises that involve moving the head and body in certain ways to improve symptoms such as dizziness and vertigo. The No. 1 concern is decreasing the risk for falling, Sparto said. Physical therapy to improve balance may also include exercises such as having patients stand on a piece of foam or another unstable surface to practice stability, having them move their heads while standing in a more challenging narrow stance — with one foot directly in front of the other — and trying a dual-task exercise such as walking while reciting the alphabet backwards, he noted. “You can help to retrain some people’s balance skills,” Cohen added. She also recommended mixing up your exercise routine so your body feels stable under all kinds of conditions and wearing sensible shoes with wide, low heels to help you stay in good balance.